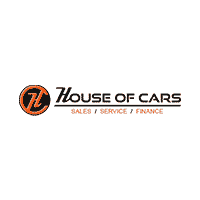 House Of Cars works with more than 20+ different lenders to provide automotive financing to our customers. We work hard to ensure your vehicle buying experience is as hassle free as possible by providing quick and easy service with competitive rates. With our exclusive credit rebuilding program, we can create a finance package that’s within your budget and tailored to your needs. If you’re happy with your current vehicle but are interested in lowering your existing payments, we can help with that too. Speak with one of our sales consultants today about refinancing options. At House of Cars, we believe that everyone should be able to get from point A to point B in a car that’s safe and reliable. That’s why we offer auto financing solutions to all of our Airdrie customers, regardless of credit history. We’ll work with you to ensure you receive a car loan with terms that work for you. Fill out our simple & secure application form above and we’ll get back to you in no time. In the meantime, browse our inventory & find the perfect vehicle for you!